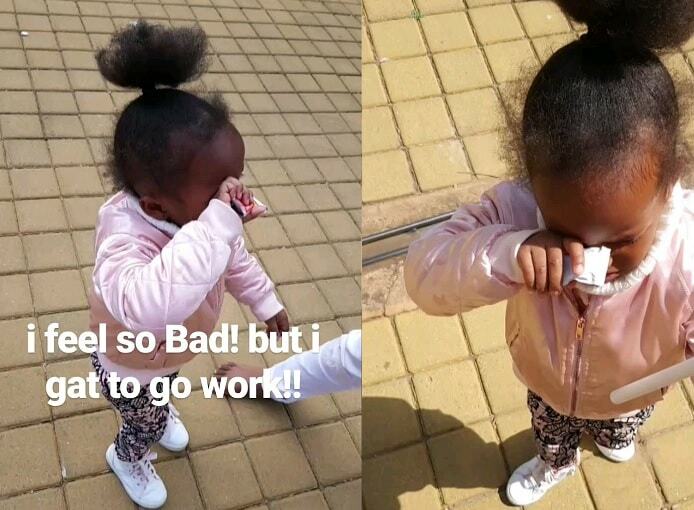 The Jibebe singer, Diamond Platnumz, was left in tears after bidding farewell to his children, Nillan and Tiffah following a short visit to South Africa over the weekend. Having postponed Tiffah’s birthday, the singer had to pop down South as a matter of urgency to talk to the daughter on what their mom was up to while in Uganda and also, to let her know why her birthday bash was being considered for a future date. 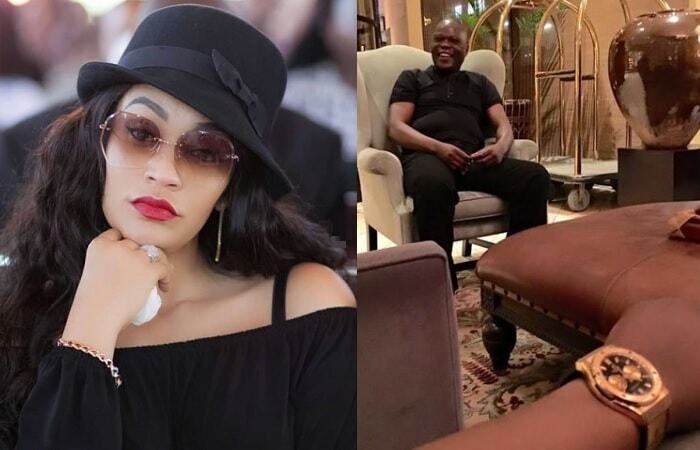 Zari through Tiffah’s IG account notified whoever cared to know that the birthday party had been postponed due to unforeseeable circumstances like the death of her brother-in-law, Sir Pinto, who was buried a day after Tiffah’s planned birthday date. In her message, Zari noted that the party will be held later this month and she did not forget to add ‘MAY BE’ implying that it could or it could not take place, but even if it is not this month, it has to take place sometime, anyway. 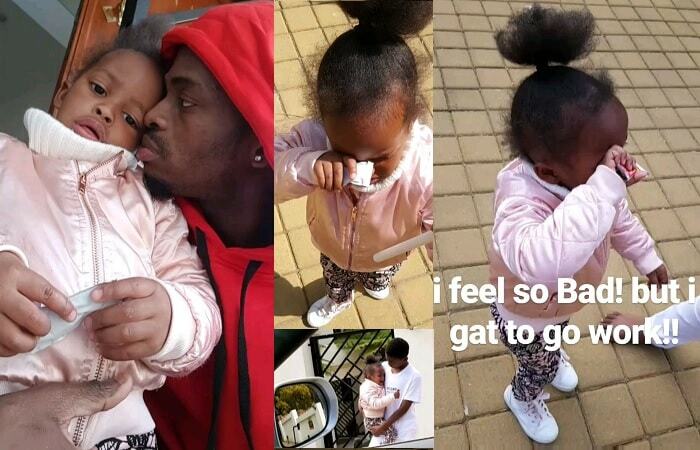 In the clips shared on his IG, Platnumz is seen bonding with his son and daughter as they feed him in turns with crisps, he was enjoying every bit of it as he said Hello from this side to his fans. Then came that emotional moment when he had to say goodbye, it was not easy for all, though, you got to trust Nillan and as the say, ‘Boys will be Boys’ little Nillan was the strongest of all as dad and daughter were locked up in an emotional moment, Tiffah did not want her daddy to leave. It is understandable and certainly not an easy thing for a three-year-old and a daughter at that not to be by her dad’s side most of the time, and when they do, it’s only for days or hours, Tiffah had to let it out in those uncontrollable tears. He turned to Nillan..Come baba! Nillan who is still rocking those signature dreads like the dad’s came bouncing all clad in black as Tiffah broke down to tears. He kissed and hugged them both saying he will bring them toys. Quincy (Zari and the late Ivan’s last born) carried Tiffah as dad sped off in a white Lexus. Saying goodbye has never been an easy thing! !